Work got you worn out? Try this self-directed Jedi mind trick. The last few weeks have been unusually demanding for me, including a lot of overseas travel and many intense days leading learning programs. About two-thirds into this recent sprint I found myself dragging—big time. Fortunately for my clients and for me, I remembered a little trick I use to help me refocus and re-energize. We all have our own small (or big) signs that we’re on the verge of a flame-out. Personally, I find myself thinking things like, “Let’s just get this over with” and, “I’ll be glad when I’m on my way home” the night before a new workshop. These are neither the thoughts of someone who truly loves her work (as I do), nor the thoughts that will lead to a life-changing experience for participants. My technique: I pretend this is the last workshop I’m ever going to deliver in this lifetime. While this may sound overly dramatic and maybe even morose, it really works. That’s because this self-directed Jedi mind trick helps me bring renewed energy to things like the opening story that I have likely shared in some variation hundreds of times. It gets me focused on what I especially love and appreciate about what I do. It has me present to the aha moments that can totally change the trajectory of someone’s challenging client relationship. It makes it possible for me to really hear and enjoy the laughter that is so often an integral part of a workshop day. The world of professional services is a demanding one. It’s not unusual to feel worn out sometimes, and to lose touch with your passion for your work. It’s critical to do something about that if you want to bring your best to every client interaction. 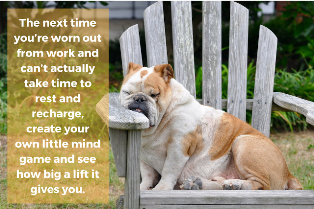 So the next time you can’t actually take time to rest and recharge, create your own little mind game and see how big a lift it gives you. This week, devise your own variation of the self-directed Jedi mind trick so you’ll have it at the ready the next time you need it. 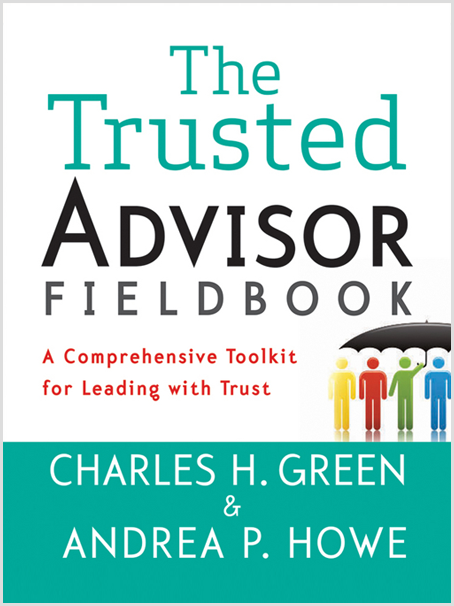 Refresh on why mindset drives sales effectiveness, too, or brush up on other ways to get the focus back on them in Chapter 4 of The Trusted Advisor Fieldbook.